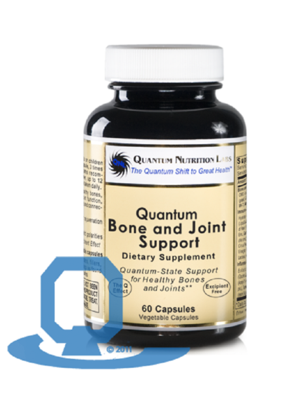 Quantum Bone and Joint Support is a comprehensive formula that provides quantum-state support for healthy bones, joint function and connective tissue. 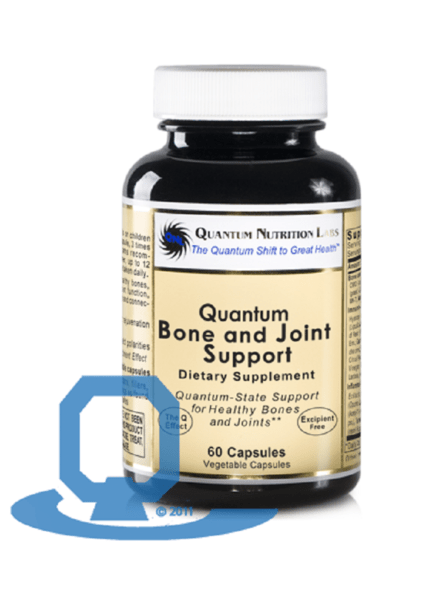 This extraordinary bone support product features three key blends: Bone and Joint Max™, Immuno-Joint Blend™, and Inflamma-Free™. It also features the amazing nutrient, delta-tocotrienol, for healthy inflammatory support. Vitamin K2 (Menaquinone-7; MK-7) . . . . . . . . . . . . . . . . . . . . . . . . . . . . . . . . . . . . . . 38 mcg. 60 caps (Vitamin K2 (Menaquinone-7; MK-7) each 38 mcg, Bone and Joint Max each 155 mg, Inflamma-Free each 129 mg, Blend each 110 mg).